Lauren Mann goes for the win! 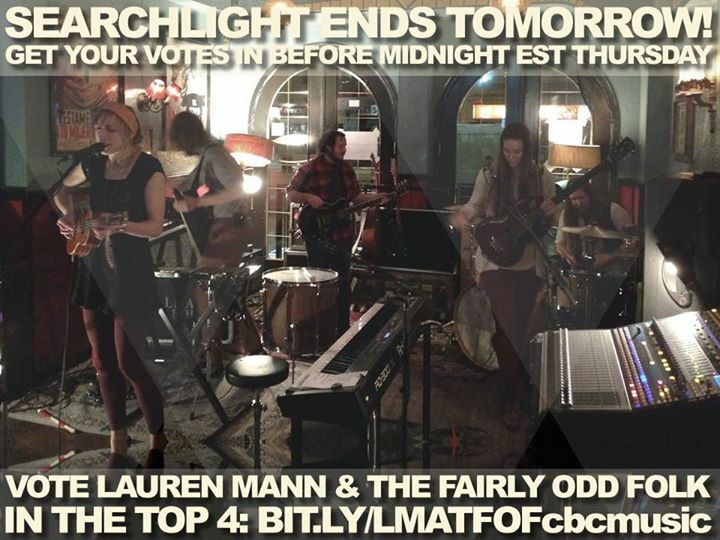 The Antidote has previously mentioned that the indie folk/pop band, Lauren Mann and the Fairly Odd Folk are one of the final contenders in the CBC Searchlight contest. Out of 4500 bands and artists participating in the competition, LMATFO have made it to the final four artists. Voting ends on Thursday, so show your support and vote for them each day. Click here to vote.